I think my favorite part of bullet journaling is the versatility of it all. Everything in one place. So when I say that my husband and I are discussing a new venture and that my thoughts and planning gets to be incorporated into the journal, that means new ways I get to shape and form it as a whole. This venture is currently a secret, but let’s just say that it gets to merge our two passions for you all to enjoy. Confession. 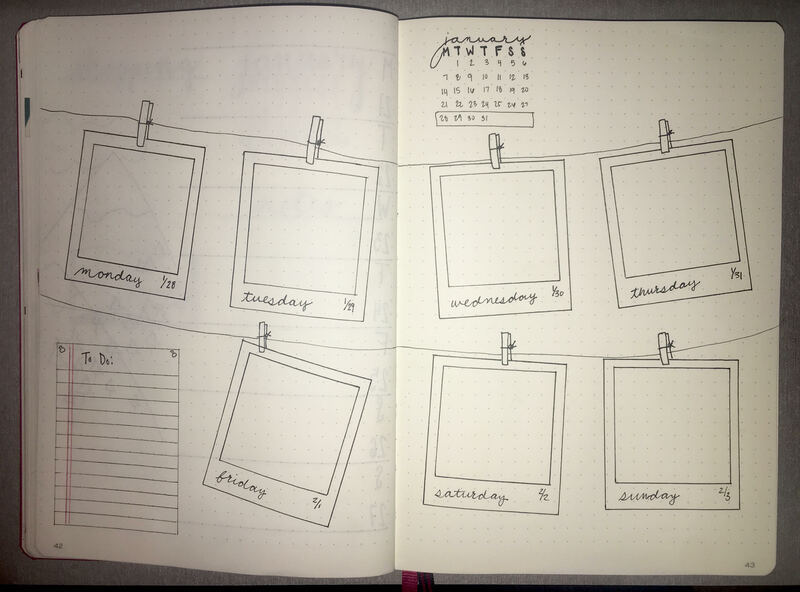 The only thing on my “wishlist” page of my bullet journal is an Instax camera. Which I WILL get this year. I loved Polaroids when I was growing up and know I will enjoy that toy too. Thus I have incorporated it into this week’s spread to look like a little wall hanging/cork board doodad.